The growing popularity of 'Big Data' coupled with 'machine learning' techniques coincides with an increasing use of automated, machine-computed solutions for a a variety of business problems that were once solved and optimized based (predominantly) on human inputs. Machine-generated solutions have been shown to be superior to these previous methods on the measured performance metrics in many instances, and companies all over the globe have deployed advanced analytics and business optimization models (e.g. built using Operations Research) to achieve incremental profitability, cost reductions, or improved system efficiency. However, all is not well. Some solutions are sustainable, and work well over time, while others begin to run into a seemingly endless stream of human or environmental issues, and fall by the wayside. "..... Amazon said the safety of its workers was its "number one priority." Undercover reporter Adam Littler, 23, got an agency job at Amazon's Swansea warehouse. He took a hidden camera inside for BBC Panorama to record what happened on his shifts. He was employed as a "picker", collecting orders from 800,000 sq ft of storage. A handset told him what to collect and put on his trolley. 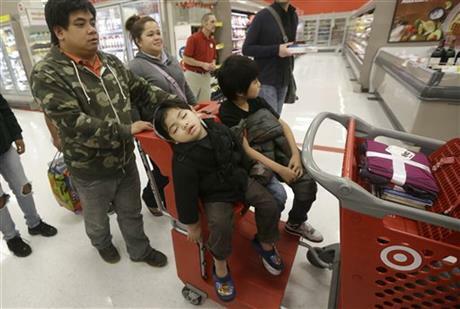 It allotted him a set number of seconds to find each product and counted down. If he made a mistake the scanner beeped. "We are machines, we are robots, we plug our scanner in, we're holding it, but we might as well be plugging it into ourselves", he said. "We don't think for ourselves, maybe they don't trust us to think for ourselves as human beings, I don't know. ..... Prof Marmot, one of Britain's leading experts on stress at work, said the working conditions at the warehouse are "all the bad stuff at once". He said: "The characteristics of this type of job, the evidence shows increased risk of mental illness and physical illness." "There are always going to be menial jobs, but we can make them better or worse. And it seems to me the demands of efficiency at the cost of individual's health and wellbeing - it's got to be balanced." "
I spent the early-mid 2000s redesigning, and improving airline crew scheduling optimization systems. This period also happened to be the industry's most tumultuous: 9-11, out-of-control fuel and labor costs exacerbated by the invasion of Iraq, repeated strikes by various worker unions followed by contentious negotiations that lead to multiple CBAs (collective bargaining agreements) being ripped up and rewritten, and companies lining up to file for Chapter-11 bankruptcy protection, etc. Endless problems. The office atmosphere got quite intense when the R&D team somehow managed to find itself in the middle of these events, and facing heat from all sides (management, unions, soaring passenger complaints) on the kinds of solutions that were generated by our decision support systems (The US airline industry pioneered the use of such techniques). 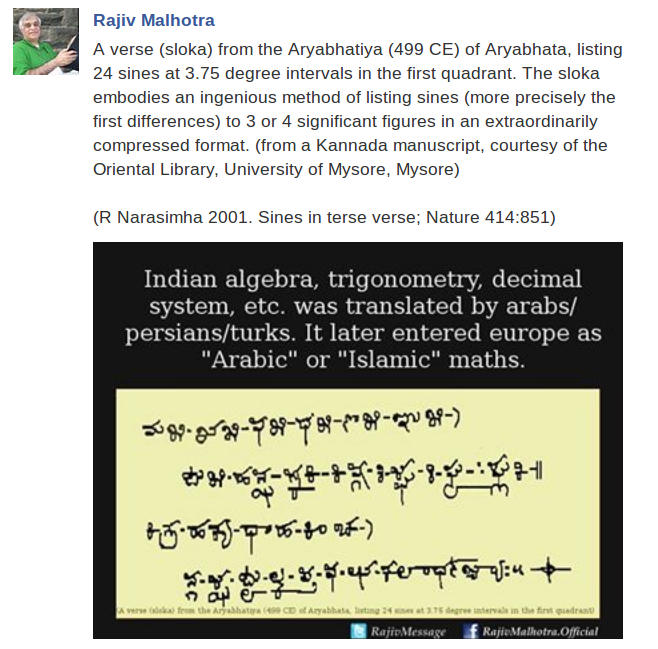 The analytical lessons empirically learnt from such episodes are hard to replicate in classrooms. One such lesson was "pay a lot of attention to the impact of your model on the people and environment". The application of this lesson has been explored in this space in a variety of contexts earlier: here (Gandhi's methods), here (Smart-Grid), here (Airline Crew scheduling), and here (Conflict resolution). The issue is revisited here by borrowing an idea from traditional Indian business philosophy to see if new insight can be generated toward answering our question on sustainable business optimization. Let us see how this idea can be incorporated within modern decision optimization systems. Amazon appears to have satisfied all legal requirements via (a) by making safety a top priority. It has probably ensured that the statistical rate of accidents is below some stringent threshold. In the airline world, (a) is achieved by ensuring total compliance with respect to all FAA- and CBA-mandated safety rules. However, this represents a necessary condition that tolerates a certain level of error as 'legally acceptable collateral damage'. The resultant formulation is: maximize profitability subject to safety regulations. However, this in itself is an insufficient specification if we want our algorithms to minimize harmful side-effects. An Ahimsa-based model would additionally consider (b) and eschew profit achieved at the cost of a reduced employee quality-of-work-life (QWL) or environmental degradation, as unsustainable and counterproductive in the long run. For large-scale systems such as a retail supply-chain or airline crew schedules, a reasonably skilled analytics professional should be able to incorporate requirements (a)-(b) within their decision support algorithm which, among alternative near-optimal solutions (and there are often many of these), selects one that also maximizes worker QWL, and/or minimizes harm (e.g. reduces carbon footprint). This requires the human-and-environment-variables in the system be treated positively as an active and equal partner based on mutual respect, by explicitly including their requirements as part of the primary goal (objective function), going beyond a legalistic/adversarial approach of treating these variables as a 'loss-making noise that has to be managed' by specifying a minimum tolerance constraint. It is possible to achieve sustainable profitable solutions via automated decision support systems that are also harmonious and sustainable, by paying due respect to all the stakeholders (including Ms. Nature), right from the design phase. b) can be employed as a key guiding principle of 'sustainable design' when building decision support algorithms for managing complex business problems, where multiple, and potentially conflicting, goals have to be delicately balanced. The opinions expressed in this article are personal. The previous post was about virtual books. This brief post is about children's books, and the nice idea of requesting kids to bring their used books to a birthday party. Suppose there are N kids, with kid(i) bringing book-set B(i). The optimization problem is fairly simple to state. 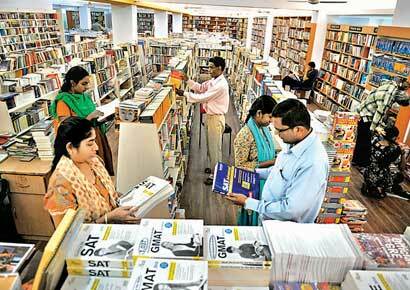 Get the kids to exchange their books in such way that total satisfaction is maximized after the exchange. A distributed optimization approach could, for example, let kids do their own thing and perform two-opt book swaps until every kid achieves their user-optimal solution, or no candidate is available for swapping. A centralized optimization scheme may require a parent to create a library of sum(i)|B(i)| books, acquire book-attribute preferences from kids, the attribute vector for each book, and using this information to (informally) solve a partitioning problem that assigns |B(i)| books to kid(i) such that it maximizes the preference sum. A Karmic optimization approach, which I personally prefer, could let the kids enjoy the cake and ice-cream, while a parent mixes the books up and organizes a fun lottery where the books pick the kids. Regardless of how the books are assigned, if we do this over a sufficient number of birthday parties, the kids would eventually get to read a variety of books at no extra cost. Amazon just raised their 'free shipping' threshold to 35$, a few weeks before the holiday shopping season. This simple 'entropic optimization' approach, which utilizes Amazon's wish list to time-prioritize purchases remains valid, but requires an increased level of procrastination. What also caught my attention is Amazon's Kindle rental models. Beyond the initial sunk costs, virtual products are high margin, with negligible holding cost, besides an infinite, instantaneously replenish-able inventory. They are also scratch/damage proof. The only long-term downside to providing a renting option appears to be faulty pricing. If we price too low, we may turn many potential buyers into renters, and a high price may discourage potential renters. Let's look at a couple of (real) Kindle rentals for which I laboriously pulled data while watching Sachin Tendulkar's 199th cricket test match. The minimum rental period is 60 days (50$), and the maximum (apparently) is around 360 days (140$), with the marginal price held approximately constant. We pay 30 cents for every extra rental day beyond the minimum period. The cost (snapshot at the point of observation) of purchasing a permanent copy was 200$. If we plot the percentage price discount versus the rental period expressed as percentage of a year, we can see that the discount varies between 25% and 70% of the full cost. Approximately linear model employed for this book. Here, we can rent the book for an entire year without paying the full price. The second example is a bit more interesting. The content is technically far more sophisticated compared to Book 1, but the target market is different, and the number of (paper) pages is far lower, and so is the price. In both instances, the cheapest rental can be purchased at less than half the full price. There are roughly three different marginal prices employed within a rental period that varies between a minimum of 30 days (~$15) and a maximum of 365 days (~$35, also the full Kindle price). The corresponding breakpoints occur (roughly) near the 90-day, and 180-day rentals, respectively. If we restrict our attention to this rental time period, the price is concave, with the marginal prices decreasing as the rental period increases. It is preferable to simply buy the book rather than rent it for close to a year. A percentage based plot is show below, along with an empirical power-law pricing model (using Open Office) that looks like a near-perfect fit for this particular book rental. A log(x) model also works well in this instance. Seller: How would optimization scientists go about determining these marginal rental prices? Suggestions welcome. Perhaps ideas from analytical rental models for other products (cars, houses, equipment ...) can be used as a starting point to figure out this "information rental" model. Perhaps the pricing model can be initialized using historical rental data gathered for similar books. This being an online retail sales model, we can dynamically and frequently update these models or their parameters to maximize performance metrics. to determine an optimal 'rent versus buy versus walk-away' decision based on our willingness-to-pay. Assuming a 1:1 mapping between 'f' and 'x', so we could transform any price range limit into an equivalent (l, u) bound on 'x'. A simple way to solve this problem is to enumerate the values of V for all rental days using a spreadsheet. Like thousands of Indian immigrants in the U.S, I came on an assistantship, carrying a couple of hundred bucks in my pocket that represented a big chunk of my parent's savings. I actually felt rich when I discovered that the take-home monthly income from my research assistant-ship after tuition fees turned out to be more than what my engineer dad was earning after decades of dedicated service in Nehruvian India. Until I saw the prescribed textbook prices, that is. Buying overpriced books was simply out of the question when the few copies in the library were already taken. There was no Amazon then, and it would've been amazing to have a rental option like this, especially when continued funding is dependent on maintaining good grades. For example, if we only cared about a textbook for portions of a semester (our total planning horizon), and our total price budget is 'pmax', then we can informally solve a multiple-period version of the above optimization model to come up with a best waiting strategy and rent for one or more time periods ("quiz time") which maximizes our total T(x) and also keeps us within our "knapsack" like price budget for the semester. This policy of "rent as needed" may work well with book rentals having a constant marginal price. On the other hand it may be worthwhile renting fewer times for an optimally longer duration if the price is concave in the length of the rental, as it is in our second instance. 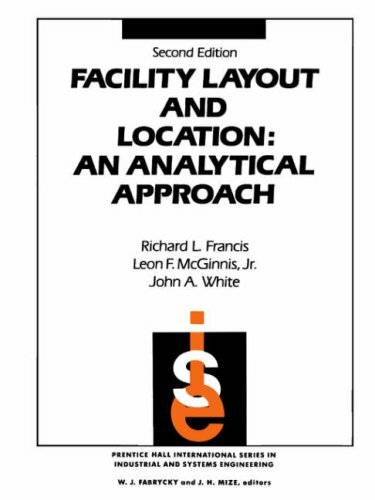 In this sequel to part-1, an overview of a few, specific optimization models employed within three different Smart-Grid areas is provided. I found these samples to be interesting from a practitioner's perspective. INFORMS publishes a lot of good papers in these areas, and is an excellent source of references. EV problems are fun. Researchers in Hong Kong have investigated efficient online charging algorithms for EVs without future information, where EV charging is coordinated to minimize total energy cost. EVs arrive at the charging station randomly, with random charging demands that must be fulﬁlled before their departure time. Suppose that N EVs arrive during a time period T, indexed from 1 to N according to their arrival order. The optimal charging scheduling problem minimizes a total (convex) generation cost over time T, by determining the best charging rate for EV i at time t, x(i, t), subject to various constraints. The difﬁculty of an efﬁcient charging control mainly comes from the uncertainty of each EV’s charging proﬁle. Prior approaches assume that the arrival time and charging demand of an EV is assumed to be known to the charging station prior to its arrival. However, the HK team have come up with an optimal online charging algorithm that schedules EV charging based only on the information of EVs that have already arrived at the charging station. They show that their approach results in less than 14% extra cost more an optimal ofﬂine algorithm, which can be potentially reduced even further. Cool routing algorithms can also be developed from a user-perspective. One interesting work I came across takes a more holistic and rigorous view of the simple Tesla routing problem that I blogged out a while ago. Researchers in Europe look at a routing subproblem within the more general context of managing congestion at EV charging stations and minimizing the impact of EVs on grid performance. They employ an algorithm to compute the best charging points to visit to based on the estimated travel time (shortest-path, and reachability based on available battery power) to all charging points, and the point-specific charging cost. Input: O-D locations, initial battery level, desired charging level for the EV user, and the preferred time of departure. The optimal route, the subset of intermediate charging points, and the slot that the EV is going to charge at, are returned as output. Revenue Management and supply chain analytics folks will be pretty familiar with this area. Smart-devices can be programmed to automatically (with human overrides) respond to price changes by reducing or rescheduling electricity usage. Couple of differences here from standard RM/SCM problems : i) unlike supply chains that process manufactured widgets through warehouses and distribution centers, it is quite difficult to efficiently store and "ship" electricity using batteries, although the technologies are getting better each day. Thus, the electricity we use is probably produced less than a second ago, and marginal costs can spike during peak periods ii) electricity tends to be incredibly inelastic, making it stubbornly resistant to pricing changes, unlike say, smart-phones. We noticed that prior approaches that apply peak-hour "congestion" pricing tended to 'migrate' rather than mitigate peaks. By carefully combining peak and off-peak pricing with accurate short-term load forecasting, and jointly optimizing the entire price profile, it is possible to proactively flatten the overall predicted load profile by inducing customers to make small shifts in their usage. Even a small peak shift-reduction during high-load days can result in a lot of savings. In fact, our experiment using actual Smart-Grid data showed that even a half a percentage point peak reduction using optimization could potentially lead to more than a 25% reduction in cost, which can benefit both the customers, as well as the utility companies. Among the variety of problems solved here, researchers are also looking at the security-constrained optimal power flow that aims to minimize the total cost of system operation while satisfying certain contingency constraints.This smart-grid formulation extends the standard optimal power flow (OPF) problem, which determines a cost-minimal generation schedule cost while satisfying hourly demands, as well as energy and environmental limits, and meeting network security goals. Optimization methods used here include Benders decomposition, as well as Lagrangian multiplier techniques. Some of the newer variations employ distributed algorithms that are designed to work on a massive scale. These are just a few samples that caught my attention. There are a variety of other problem areas being addressed (e.g. batteries, renewable energy sources, micro-grids), all of which perform some type of an optimization. A popular joke in my undergrad campus at IIT-Madras used to be "why is the large water tank in our campus not used? Answer: the design engineers did not take the weight of water into account". The legend may be as real as the croc in the campus lake, but newspaper reports a few days ago quoted a US government spokesperson saying that the 'heath insurance website worked correctly, but just did not take the volume into account'. I'm sure a lot more attention was paid to the voters within the sophisticated analytical models used during the 2012 elections. Volume was not a problem then, somehow. Actions reflect priorities, as Gandhi said. So what are the priority areas in Smart-Grid research? I recently attended the IEEE SmartGridComm 2013 international conference in the beautiful city of Vancouver, Canada. (A very brief historical tangent: From my Indian-American immigrant perspective, Vancouver is also a somber reminder of the discrimination that was once practiced by the US and Canadian governments, exemplified by the Komagata Maru incident). The paper presentations were refereed entries, uniformly of high quality, and largely focused on the dizzying science and technology associated with the various elements of the smart-grid (electric vehicles, batteries, wind, solar, communications, security, ...). Marry this with 'Big Data' and you get the convoluted buzz of two 'hyperbolic' distributions. Personally speaking, the glaring problem was this: the tech part felt overcooked, and the human part, somewhat overlooked, save for this five-minute talk, and the excellent keynote talks, which emphasized the latter (a favorite keynote comment described the important and immediate practical problem of 'transmission optimization' as the drunken uncle of the smart grid - largely ignored, but full of smart ideas). I found that several others at the conference too shared an opinion: the single most important component of the Smart-Grid remains the people for whom it is being built in the first place. If anything, understanding their behavior and impact is more important than ever before. The world of electrical system modeling is full of elegant math that manage electrons that flow through circuits obediently as dictated by the equations. These models match up relatively well with reality (even imaginary numbers work here). In contrast, real world ORMS projects usually begin with people's real and changing requirements, and culminates in finding lasting solutions for real people, using noisy and incomplete SmallData. Unlike widgets, packets, and electrons, the goal of accurately modeling human response largely remains an open challenge, and the temptation to simply ignore this component of the SmartGrid is strong. However, the empirical, perhaps paradoxical, lesson I've learned the hard way is that the more effectively we want to mechanize, automate, and optimize systems by reducing or eliminating manual intervention (i.e. save humans from humans, a la Asimov's robots), the more practically important it becomes for our optimization models to take into account the behavior of, and the implications for all the human stakeholders, upfront. Be it workforce scheduling, Big data analytics, or the SmartGrid, an ahimsa-based multi-objective approach that also minimizes harm or maximizes benefit to the human element and blends harmoniously with the environment is likely to be more sustainable. Which is another way of saying: SmartGrid is one heck of an OR opportunity and I'm glad to be a small part of this journey. The next part of this series will review some interesting SmartGrid optimization problems. Just jotting down some thoughts while attending the IEEE SmartGridComm conference in Vancouver, Canada. The talk duration here is roughly the same as that at INFORMS, about 20 minutes. There were plenty of talks on EVs (electric vehicles) in terms of their impact on the grid, locating charging stations, charging strategies, etc. I blogged about the Tesla routing problem - a very simple treatment purely out of curiosity - Smart-grid researchers have taken a variety of such EV related optimization problems to much more sophisticated levels. The most interesting feature of this SGComm edition was the introduction of 'Lightning Talks' of five minutes duration at lunch time, buzzer controlled. Given my extremely limited background in power systems and electrical engineering, I attended these five-minute talks for the novelty factor, and betting that nobody would present anything too complicated in five minutes. Of the 8 talks, 2 finished 1-2 minutes ahead of time, 2 were buzzer-beaters (nice! ), and 4 violated the time-limit.So 50% of the time, the knapsack constraint was satisfied (half of that, tightly). INFORMS may consider adding this feature in their next edition. After all, 'the elevator pitch' is an important part of OR soft skills. The talks were quite informative and the talkers cut to the chase and spend their scarce resource (time) trying to convey the one or two key ideas rather than to walk through excruciating technical details. The best talk was by Naeem, a researcher originally from Tanzania (where 97% of the villages have no electricity), who, in five-ish minutes, talked about how he came up with a micro-grid solution for villages that used diesel generators to provide electricity for lighting, some Jugaad-type ideas, and using Sim-card based methods for managing payments. Quite brilliant. Here's a link, and be sure to google his work. My fifteen minutes is up. Over the last decade and half, I've participated in a variety of internal and external commercial OR projects across multiple industries, many of which involved competitive bids. 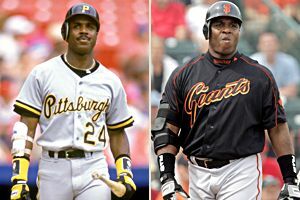 These projects somehow always ended up being one of two types - either long and routine, or interesting but cruelly short. Every time I came across that exciting project full of nice OR work, the deadlines were killing. The duration of the project/pilot/proof-of-concept appeared to be inversely proportional to the degree-of-sophistication. It seemed quite puzzling at first, but there are some plausible explanations for it, and perhaps this phenomenon shows up in other STEM-area projects too. If the project isn't novel, and requires some reinventing of the wheel, it's considered low-risk and delegated to the Rodney Dangerfields in the trenches. If it turns out to be something new and shiny, senior pros are brought in to unleash their deadly math modeling dance moves on the client: a bewildering Bangra of reformulations and theorems, culminating in the East Coast Shuffle: the final formulation will always be solvable to optimality as a DP (thanks to a west coast friend for this discovery). A final spin through OR-FX chartware, and the gobsmacked customer is humbled into signing, provided the price is right, and of course, resistance to publication by any journal is futile. Problem is, the senior pro clock is relatively expensive. To keep the bid competitive, the total cost is treated like a knapsack constraint, which makes total time the casualty. Result? like cricket matches that end in a draw after five days, lets just say that OR is the winner here. Labels: dynamic programming, I know what you optimized last summer, knapsack, optimization, OR Practice, Rodney Dangerfield and O.R. I will be presenting three practice talks around the theme of 'industrial applications of analytics and OR' at the INFORMS annual conference, 2013. Each of them involve some type of optimization; each one is a different context - energy, fashion retail, e-commerce; each one a different setting (product, service, decision support tool) having varying client objectives and requirements. 3 - The core decision optimization problem turned out to be a discrete nonlinear formulation, and in each case, solved with the help of CPLEX after reformulations and/or decomposition. 2 - of the more challenging decision problems will be analyzed using results on real client data. 1 - of these solutions, apparently, was turned into a commercial product a while ago. 0 - number of theorems proved. Left to the journal paper and smarter co-authors. October 2nd is the birthday of Mahatma Gandhi, a major spiritual force behind the Indian freedom movement of the 20th century. Gandhi-ji also was a fundamental and direct inspiration for Martin Luther King Jr.'s civil rights movement of the 1960s, and Nelson Mandela's struggle against apartheid. In this post, we attempt to examine his idea of ahimsa from an optimization perspective. Update (Oct 5): This Huffington Post article provides amazing insight into Gandhi's ideas. Indian textbooks mention that Gandhiji brought the colonial empire in India to its knees by using ahimsa and sathyagraha (both were 'spelling bee' words a couple of years ago). These words have no equivalent in English, and are often used to imply "passive resistance", "pacifism", or "non-violence". A mathematical optimization model provides a more useful translation. So too is righteous harm. The second line suggests that allowing cruelty to go unchallenged is equivalent to willingly permitting harm, and therefore, must be resisted. The verses are a combination of the ideal (global optimality = zero harm), and a context-dependent violation of that ideal (soft rule = minimize harm). 'Local harming' is permissible in rare circumstances when it results in an overall reduction in global harm. The gangrenous foot has to be amputated to save the body, or a terrorist who attacks innocents in a mall or a school has to be taken down by security forces. In a recent talk, Narendra Modi tells us a story of how Gandhi would request his assistant at Sabarmati Ashram to pour back half a cup of water back into the river, because all he wanted was half a cup. Minimal harm! From an optimization modeling perspective, these ahimsa verses represents an objective function of minimizing harm. In normal circumstances, the optimal value should be zero, but in all circumstances, it should be minimal. When some non-zero harm is inevitable, the goal is to limit the total harm to a minimum, i.e., the employed level of harm is optimal if and only if it is necessary and sufficient to restore dharma. The 'necessary' condition implies minimalism of the counteracting harm, while the 'sufficient' condition implies the safe neutralization of the source of the harm. It's a tough balancing act for humans even though nature itself effortlessly adheres to Newton's third law. A pure hard-constraint version of ahimsa would discourage self-defense and even celebrate cowardice, while a pure soft constraint version could open the doors to unnecessary use of force, and justifying cost versus benefit approaches. (The legal system dictum of "let a hundred guilty go unpunished, but a single innocent should not be wrongly convicted" is an interesting case study in this regard.) Hence, applying any one of these two lines is an incomplete specification and can lead to unpredictable results. We argued a while ago that these verses are an improved 'fail-safe' choice for the 'zeroth law' of robotics. In the real world, when we build decision models to aid decision making, we can optimize decision variables to pick a pareto-optimal solution that also results in the least disruption to the system ("don't fix what isn't broken"). For example, if we are scheduling workers to maximize efficiency or minimizing cost, then an optimal solution that also minimally disrupts (and preferably, enhances) their quality-of-work-life is more likely to be sustainable over the long run. Many feel that Gandhiji was partial to the first line, and quotes attributed to him support this claim. On the other hand, Gandhi's 'Hind Swaraj' and his lesser known quotes on preferring violent self-defense to cowardly capitulation suggests that he was aware of both verses. His book 'Hind Swaraj' (Indian self-rule) implies that his primary objective was not merely an overthrow of colonizers, but to achieve the strategic and deeper goal of ending the cultural genocide of India (restoring its Sanskriti and dharma). Applying the ahimsa verses would yield a path to Swaraj that results in minimal incremental harm to India's Sanskriti and dharma. Such a path may not necessarily also be optimal in terms of being the shortest-time path, or the least painful, or one that maximizes regained territory. The next few blogs cover observations from a recent visit to India and South-east Asia. 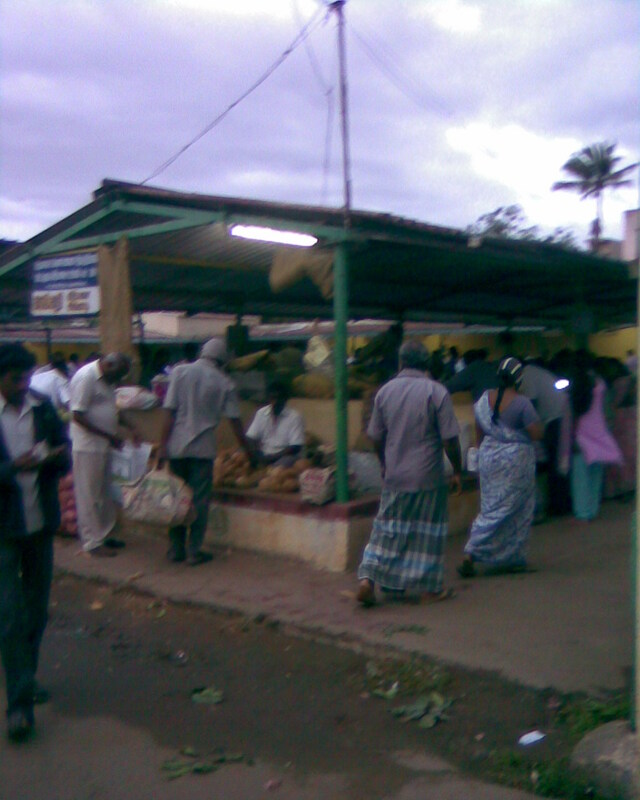 Earlier this month, I used to wake up at dawn every day to visit the farmer's market in my ancestral town in Tamil Nadu, India to purchase fresh vegetables for salad, curry, and sambhar. The vegetables here are sold directly by farmers, and are simply delicious. 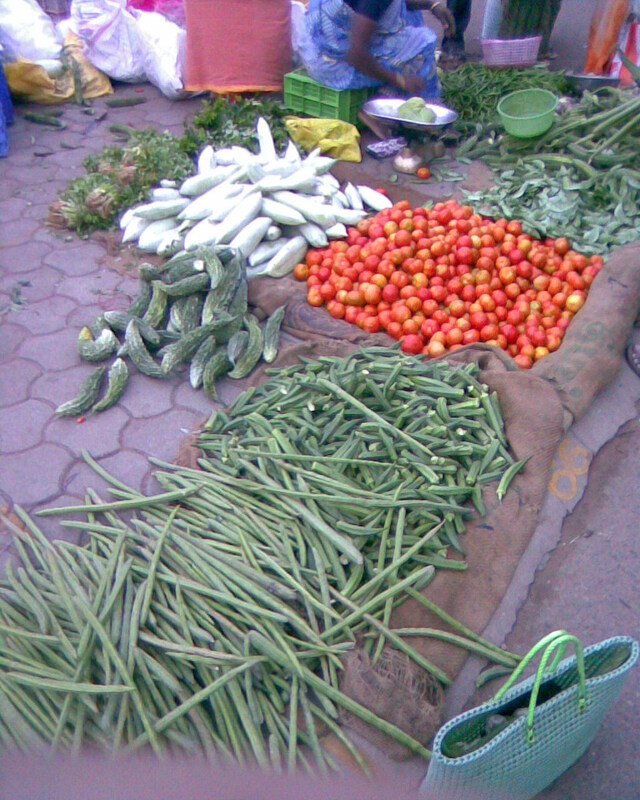 The vegetables I purchase in US groceries may look better, but in terms of variety, flavor, and cost, are no match for what is on offer here in this village market. I was introduced to a wise and elderly person selling coconuts in his stall. My family buys coconuts exclusively from him. Coconuts, like the cow, have a special place in Hinduism. The Coconut is like the Kalpavriksha, the giving tree, while the cow is associated with the Kamadhenu, the wish fulfilling cow. The reason, as is usual with Hinduism, is both scientific and compassionate. The sanctity of a particular place, object, person, or living being is usually tied to net benefit of the entity with respect to the cosmos. The Indian cow and the coconut tree are incredibly giving in a variety of ways throughout their lifetime, demanding little in return. Worthy of emulation and praise. 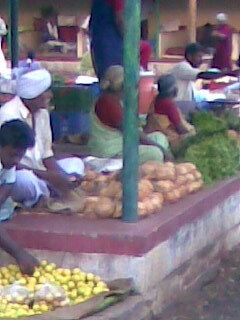 Coconuts are often used in a Pooja (as a prayer offering) at temple. Often, Indians break a coconut prior to beginning an important task, or undertaking an tough journey, or launching a new project. When used for such a purpose, it is desirable that the coconut not be tender or rotten or dry, but perfectly fresh. Breaking a bad coconut at a temple is deemed to bring ill-luck (from a scientific perspective, this act aims to turn a complacent person/group into the more alert and focused type, pre-empting any mishap with positive action. Ill-luck is most certainly avoidable). However, there is no obvious, guaranteed way to tell from an external observation whether the inside of a coconut is spoilt or not. For example, roughly 50% of the coconuts I select at the local A&P grocery store turned out to be spoilt (The degree of spoil is actually a continuous variable, but for now, we simply treat it as a binary indicator). Thus, careful attention is paid to the selection of temple coconuts. prob (good coconut) = exp(U) / (1 + exp(U). When we pick coconuts, our mental decision model informally estimates the RHS for a given set of coconuts and picks the one that appears to maximize the odds. During the last few years, our vendor has picked just one bad coconut. It seems he was quite distraught, and replaced the coconut free of cost. A related, traditional prediction problem that requires specialized skills and experience, is determining the gender of a baby chicken. Multiple techniques have been employed to make this prediction. Unlike coconuts, experts here can make a conclusive determination (probability ~ 1.0). As the book "Moonwalking with Einstein" notes: "A good chicken sexer can identify the gender of approximately 1,000 chickens an hour and much of this has to do with their expert memory of chicken private parts". I once read a research paper that stated that their customized nonlinear solver reduced computational time for a particular problem class from days to seconds, i.e., something like an 86400X speedup. Digging a little deeper, it seems the authors did not notice prior work that solved similar sized instances of a more difficult discrete nonlinear case, using an analogous CPLEX-based approach, in a few seconds to a few hours in the worst case. Even a conservative 'from several minutes to a few seconds' mean-improvement is impressive (~100X faster). After deleting complicating side-constraints and relaxing integrality restrictions, the resulting continuous relaxation can indeed be solved really quickly compared to the original problem. Amartya Sen recently confessed to pulling numbers out of thin air to grab people's attention, lending credence to the claims of his detractors. I hope O(claims) does not turn into a total marketing game in the future. A bookstore I've regularly visited over the last couple of decades is the 150+ year old Higginbothams on Mount Road, Madras (Chennai). My first ORMS textbook: 'Linear Programming and Network Flows' by Bazaraa, Jarvis, and Sherali was purchased here. In recent years, finding the latest ORMS books here has become tedious. The Chennai Metro rail construction has adversely impacted the parking area in front. Yesterday's search spanned the entire second floor, and ORMS/Business Analytics books were found in the following sections: Management (Management Science books), Operational Management (OM, Supply Chain), Statistics (a slew of Intro2ORMS books, probability models, queuing theory), Linear Algebra (Linear Programming), Computer Science (computational complexity, graph theory, combinatorics), ... Perhaps this situation is a reflection of the field of ORMS itself. It's been a multidisciplinary area since the beginning. Sapna book house in Bangalore has a good collection of computer science oriented material. SBH once boasted of a huge collection of technical books, and it's still a pretty decent place to look for books relating to business analytics, data mining, and machine learning. 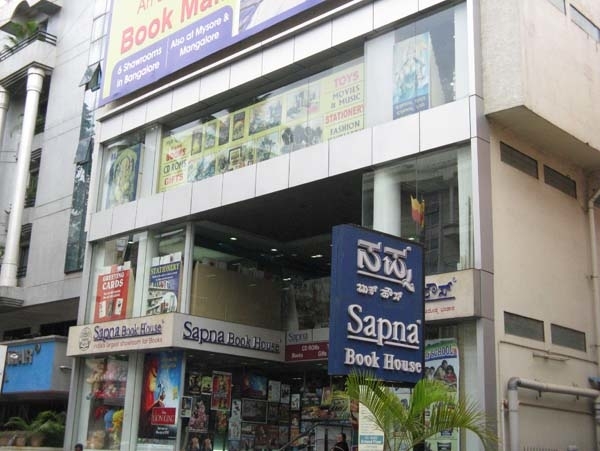 Gangarams is another well-known book store in Bangalore. I've found very few ORMS books here in the past, and I plan to skip it this time around. Off late, flipkart.com, the Amazon-like online bookstore offers a massive assortment of books, including ORMS titles. It ships only to Indian addresses currently, accepts credit cards, and offers free home delivery within 2-7 business days. Despite these benefits, online shopping denies one the simple joy of a leisurely enumeration search in the afternoon, wading thru stacks of old, dusty tomes in search of that one hidden gem. In a totally random location at Higginbothams was a copy of 'Optimization for Machine Learning'. A first blog post from India. This practice related comment was triggered by yet another useful 'Punk Rock OR' post - on 'optimization and unhappy truckers', which briefly reviews a Tom Vanderbilt article that noted that mathematical optimization may having contributed to the incremental unhappiness of employees who were affected by the decisions prescribed by the model. TV's article also talks about the optimization of airline crew schedules, which is a useful example to analyze some of the side-effects of optimization. Among these, a component that is most relevant to the discussion here is QWL, a non-negotiable component of "soft rules" that go beyond what the FAA prescribes and diligently adheres to the letter and spirit of a collective bargaining agreement (CBA) between the management and representatives of the crews. QWL metrics are audited and checked before schedules are published, and tracked over time. A drop in QWL metrics can result in followup phone calls from crew representatives, and keeping the call volume (and decibel) to a minimum is a clear and track-able goal. While traveling on company flights, I initially used to strike up a conversation with flight-attendants (FAs) to get their opinions on their schedules, and any particular issues they had. There were some harsh complaints, but also the occasional compliment based on their feedback that compared their QWL to FAs in other carriers. Nevertheless, schedules are initially anonymous, and thus indifferent to personal needs, while also being free of privacy concerns. It is safe to say that unless schedules are personalized, there's bound to be unhappy crews. Personalization is at odds with automation, and the task of optimally synchronizing and scheduling 30, 000 FAs and pilots, and hundreds of expensive aircraft that operate thousands of flights per day, while trying to keep costs down, reliability high, and crews happy is non-trivial. Luckily, the space of feasible schedules contains many trillions of possibilities, and is diverse enough to accommodate many, many management and crew objectives to produce tons of alternative near-optimal solutions. In fact, this feature plays a vital part in designing new and improved crew safety rules during CBA negotiations. To summarize, modern, large-scale industrial optimization systems are sophisticated, robust, and flexible enough to accommodate a myriad of human-impact objectives without breaking a sweat. Who knows, truly personalized schedules that sync with personal calendars, while also keeping utilization high, may well be technically feasible now. Preferential bidding systems (PBS) have already been in place for more than a decade now. Some of my purely personal observations based on the data I have seen: the QWL metrics for a schedule is correlated to the negotiating clout of the organization for whom the scheduling is done, and the importance given by management to maintaining harmonious relations with them. Higher up the food chain, the better the QWL. Not surprisingly, some employee organizations may have their own optimization systems that enable them to evaluate their schedules (and also 'game' the system). It is interesting to look at the optimized crew-aircraft schedules for fractional jets that ferry well-heeled folks and time-starved execs on Gulfstream-Vs to various parts of the world between tiny airports. Needless to say, non-bottomline 'costs' and degree of personalization play a prominent role in the objective function. The customer is both king and queen. In the end, a well-designed optimization system's objectives can accommodate the considerations of all the stakeholders to consistently (and merely) reflect their relative importance from a human decision-maker's perspective. Nothing more, nothing less. As Gandhi ji said, actions reflect priorities. Elasticity is a very useful measure in structural engineering and helps us figure out the strength of materials (e.g. the 'strain' that is used along with Young's modulus). It is also an important idea in economics and price optimization. The price elasticity of demand quantifies the impact of a price change on the demand for an product. The thermal elasticity of electricity load in summer = percentage increase in residential cooling power consumption when outdoor temperature increases by 1%. Elasticity is a dimensionless quantity = the % change in dependent variable / % change in causal. where S0 is the (expected or observed) sales at price p0. This is a simple and convenient representation that works well for small price changes. It is popular among retail analysts because you get a constant elasticity term (g) that is easy to communicate, which can also be easily estimated using linear regression on historical sales data by taking the logarithm on both sides. Elasticity estimates can be used to gauge customer response and public sensitivity. Price is a continuous variable, but we can also associate elasticity with boolean indicator variables even though we cannot really calculate it's % change. For example, a promotional ad prominently placed in the front-page as opposed to the mid-pages of a weekly store circular may elicit a taller spike in sales. Some Hollywood movies that fly under radar experience huge sales lifts upon being named as an Oscar contender. BoxofficeQuant has an interesting analysis of the sales 'elasticity' of Oscar nominated movies. Statements by influential leaders tend to be relatively more elastic and elicit an heightened public response (e.g. Alan Greenspan in the US, or Narendra Modi in India). Perhaps there's a Matthew effect at work as well - the exact same product that is sold under a different name can be more elastic even though the benefit to the customer is the same. Recently, JK Rowling published a book under the pseudonym Robert Galbraith. Upon the discovery of this name change, Amazon sales of the book rose spectacularly: The magnitude of the short-term sales 'elasticity' of her famous name at Amazon.com was estimated at more than half a million.